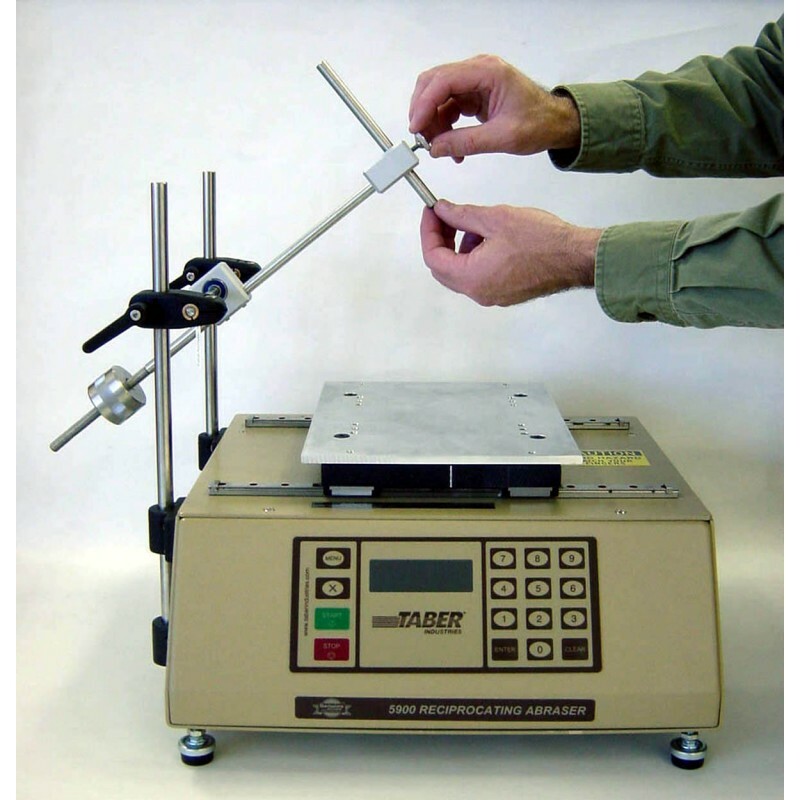 A sliding specimen platform moves in a horizontal, reciprocating motion under a tool holder to which optional attachments and weights may be secured. 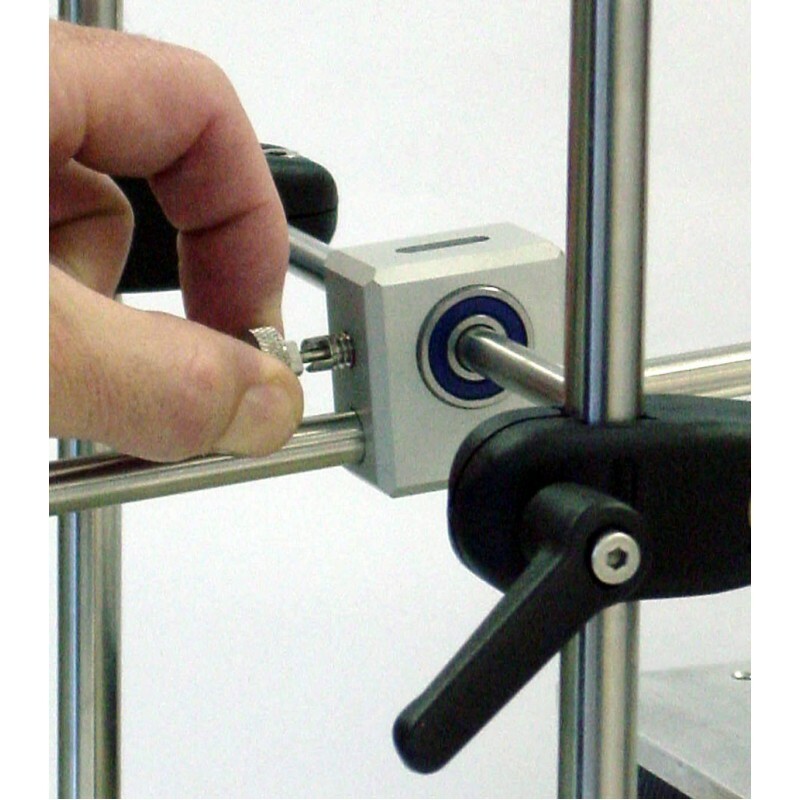 The tool holder is attached to a counterbalanced arm which pivots on an adjustable height gantry system. 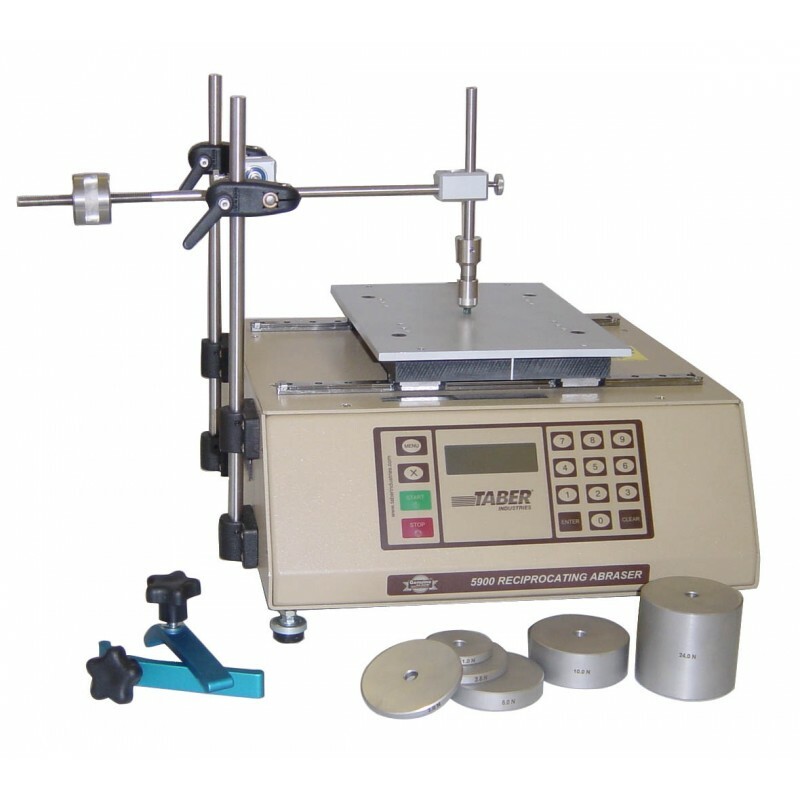 The counterweight allows the user to balance the test arm, regardless of the weight of the test attachment. Taber's Model 5900 Reciprocating Abraser offers testing versatility with adjustable stroke length, speed and load. 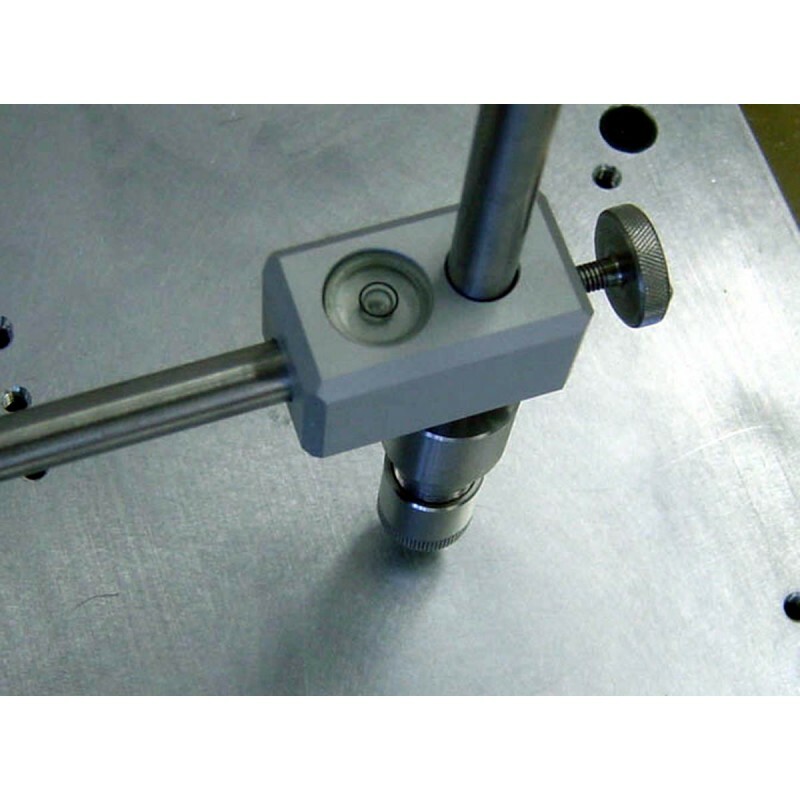 ** Most optional attachments designed for the Linear Abraser also work with this instrument (contact Taber to confirm). 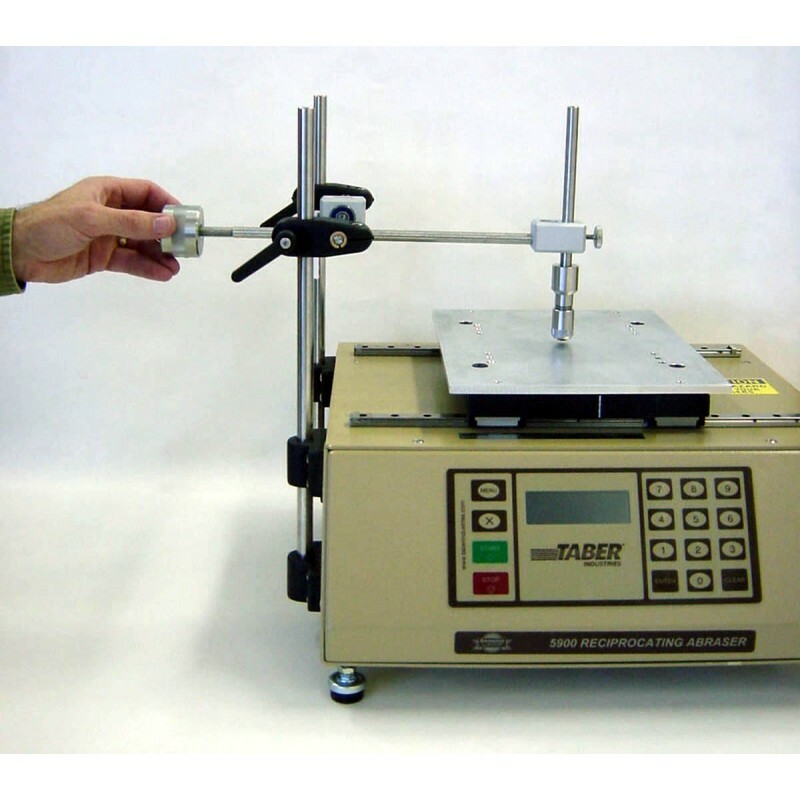 The Reciprocating Abraser is similar to the instrument described in test method ISO 1518. 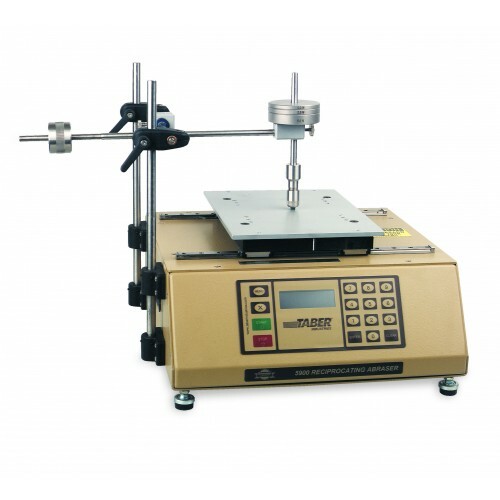 Ideal for flat surfaces, this tester can be configured with optional attachments to evaluate the relative resistance or susceptibility of a material surface to physical damage such as wear and abrasion, rub, scratch, mar, gouge, scrape, plus others.